Anna Anderson sits in a Berlin mental institution, watching video footage of the Romanov family. She believes herself to be the Grand Duchess Anastasia, youngest daughter of Tsar Nicholas II, having survived the massacre that killed her family in 1918. Some people believe her, but many do not, and she is haunted by memories of a past that may not be hers. In Acts I and II of Kenneth MacMillan’s Anastasia, we watch the young Anastasia grow up, amid the final days of the Russian Empire – but in Act III, we encounter the conflicted Anna Anderson as she battles with her possibly imagined Imperial past. MacMillan originally created Act III of Anastasia as a one-act ballet for Deutsche Oper Ballet in 1967, and expanded it into a three-act work for The Royal Ballet in 1971, early in his tenure as the Company’s Director. Lengthening the work allowed MacMillan the opportunity to look at the history lying behind Anna Anderson’s claim, as well as creating a work that shows the skills of the entire company. The role of Anastasia/Anna Anderson was created on MacMillan’s muse Lynn Seymour, who had earlier created lead roles for MacMillan in The Invitation and Romeo and Juliet. A new production, designed by Bob Crowley, was created in 1996, and it returns in 2016 for its second revival. The story of Anna Anderson gripped the public in the 1960s and 70s, with many people believing – or wanting to believe – her extraordinary claim. DNA evidence has since proved that she cannot have been the Grand Duchess. But MacMillan’s ambiguous depiction of her remains a fascinating portrayal of a tortured figure and a startling exploration of memory and identity. There is as much contrast in the music for Anastasia as there is in the choreography: Tchaikovsky’s First and Third Symphonies for Acts I and II; Martinů’s Sixth for Act III. Tchaikovsky’s First is a wistful, youthful work that is the ideal setting for Anastasia’s reminiscences. His Third, filled with dance forms, creates the grandeur of a party at the Imperial palace that comes to a tumultuous end as revolutionaries invade. Martinů’s’s Sixth Symphony, titled Fantaisies symphoniques, is a dark array of thoughts and memories, hopes and fears, as volatile and uncertain as the ballet’s protagonist. Lynn Seymour, the first ballerina to dance Anastasia/Anna Anderson, was renowned for the expressivity of her performances. In this ballet MacMillan created a role that spans the gamut of ballet, demanding facility in more neoclassical styles early on, and a show-stealing dramatic turn in the final act. 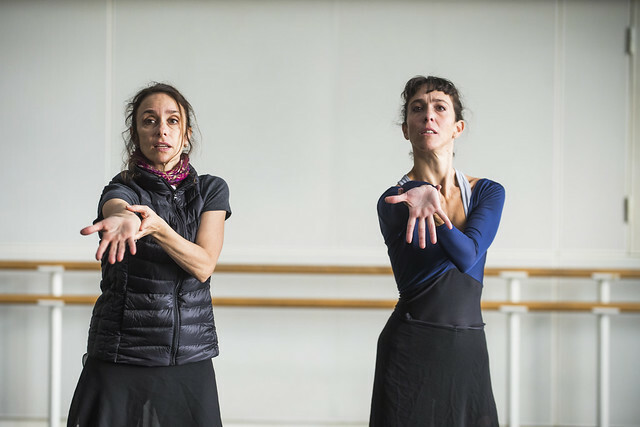 Former Royal Ballet Principal Viviana Durante danced the role in 1996, and coaches it this year in her first return to the Company since 2000. Anastasia runs 26 October–12 November 2016. Tickets are still available. The production will be broadcast live to cinemas around the world on 2 November 2016. Find your nearest cinema. Viv Groskop is guilty of spreading untrue tales herself. The animated film of Anastasia is not, as she claimed, a Disney production. It is from Twentieth Century Fox.